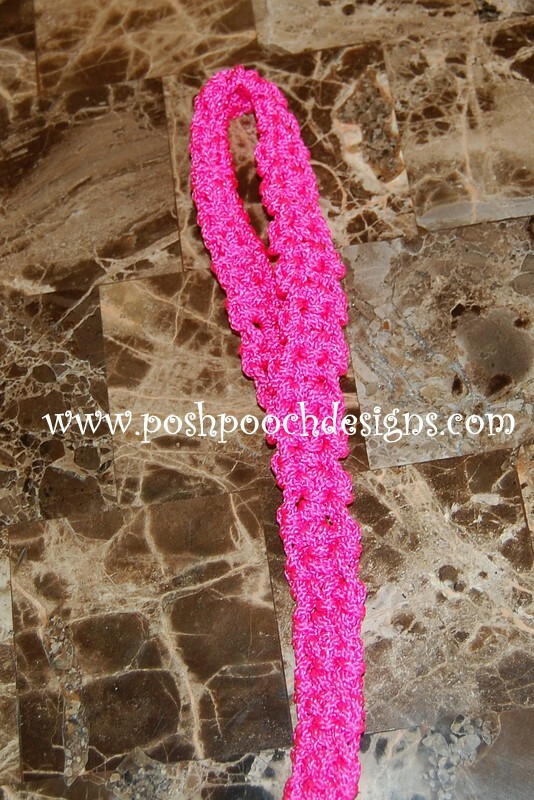 The Bright Pink of the Craft Cord caught my eye! 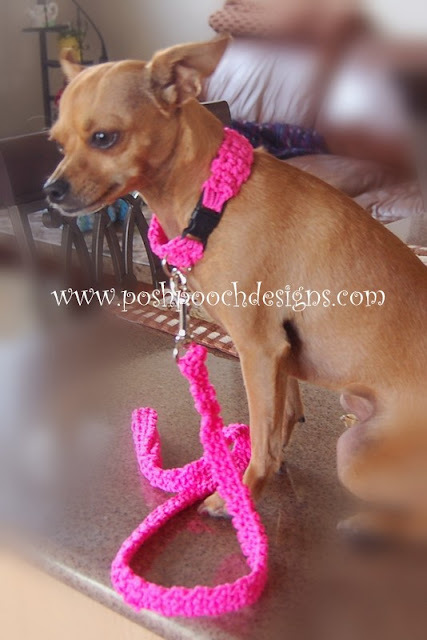 and leash set", I thought. 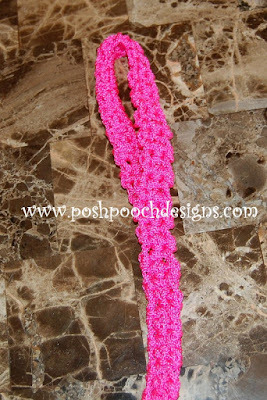 Rosie Modeling her Bright Pink Set. so I could share it with you. 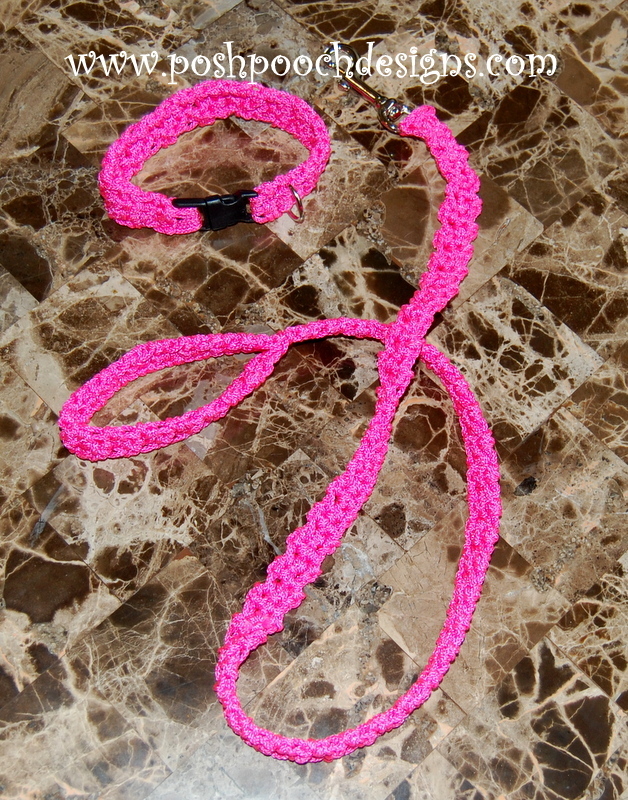 The Craft cord does have a little stretch, so it makes for a very comfy collar. Tape measure to measure your dog's neck. 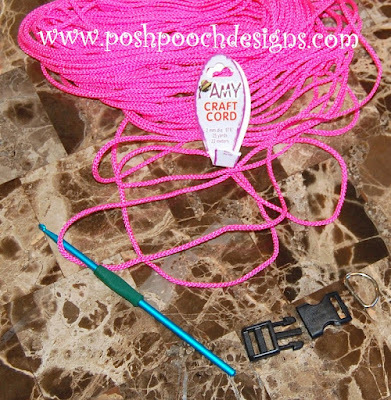 Use F hook for attaching yarn to the clip and D ring. 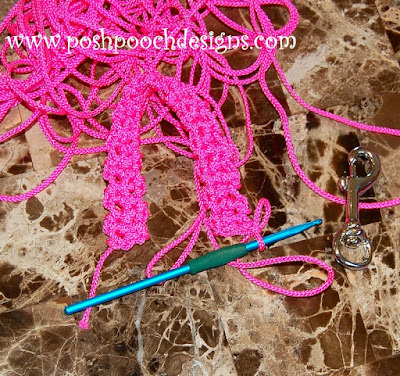 Use H hook for the rest of the collar and leach. of the collar clip with a sl st, st 2 sc going through the collar clip, ch 1 turn. R : 5 - 25 - Repeat R :1 ( as many rows as needed for your dog's neck measurement). 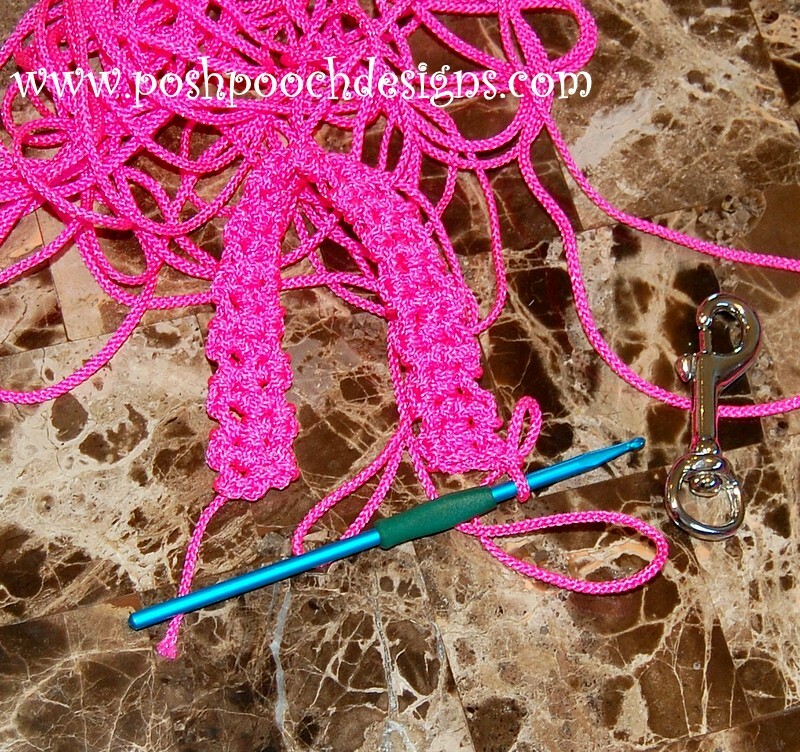 R : 3 sc going through the right side of the Collar clip, tie off, and weave in ends of cord. R : 135 - Attach Leash hook by stitching 3 sc through the hook, toe off weave in ends. to make Maximo a set! That is really cute. I don't have a dog but I might just make that for my friend's dog. I love your blog. Where were you ten years Ago??? ?